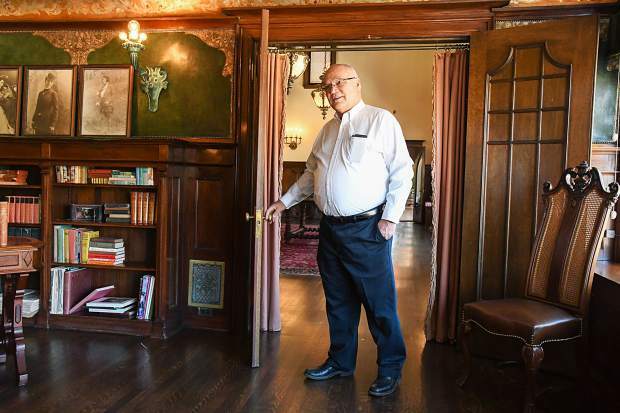 Redstone Castle owner Steve Carver walks through the doorway into the library of the recently restored castle during a media tour on Thursday morning. 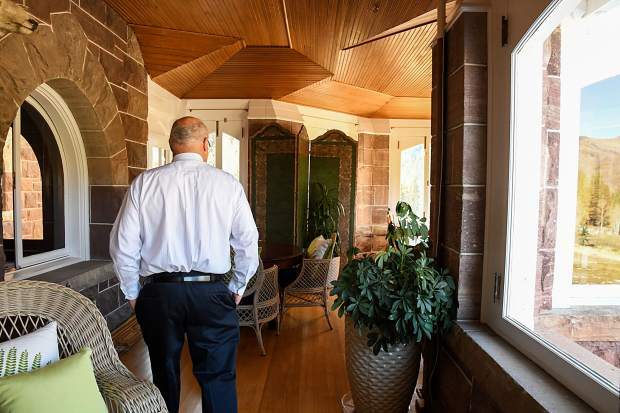 Redstone Castle owner Steve Carver walks through the sunroom of the recently restored castle during a media tour on Thursday morning. Redstone Castle owner Steve Carver talks about the history of the recently restored castle during a media tour on Thursday morning. The foyay and one staircase inside the newly restored Redstone Castle. The sitting room in Mrs.Osgood's portion of the Redstone Castle. 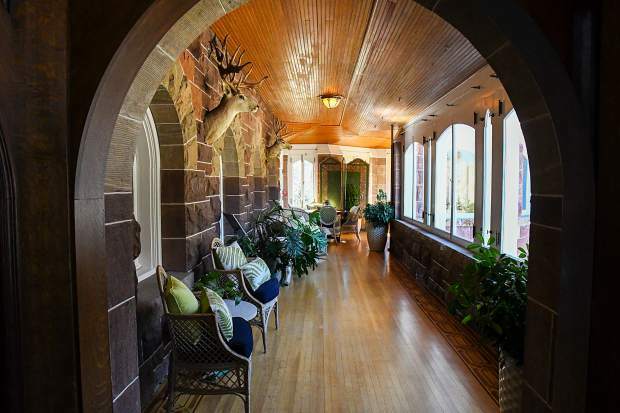 The sitting and sunroom inside the recently restored Redstone Castle. The recently restored Redstone Castle. 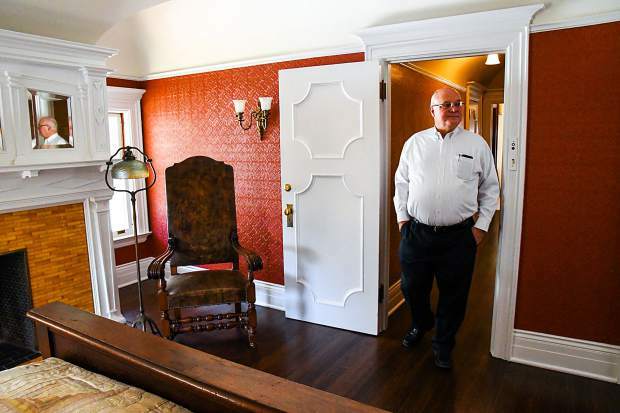 Redstone Castle owner Steve Carver walks through the doorway of Mr.Osgoods room of the recently restore castle during a media tour on Thursday morning. 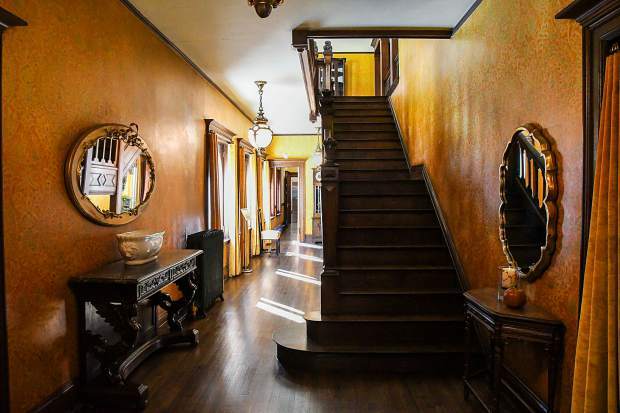 Walking through the large entry door into the Redstone Castle along the banks of the Crystal River south of Carbondale is like passing through a portal into a bygone age. 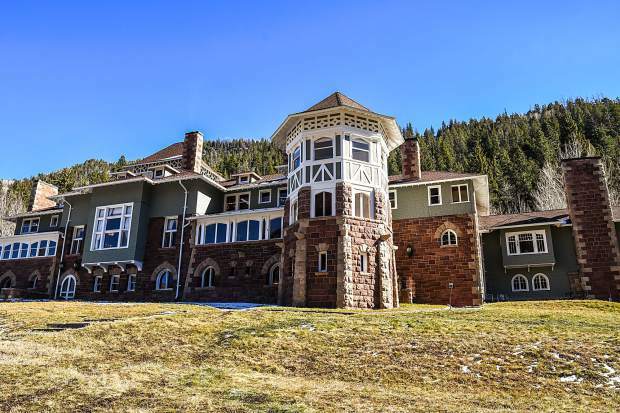 The stately residence was patterned after an English manor house, developed and built in the early 20th century by Colorado industrialist and Redstone founder John Cleveland Osgood for his family residence. Osgood, who developed the Redstone-area coal mines, built the town for his workers, and was among the top six wealthiest in the country at the time, spared no expense. Almost every one of the 42 rooms in the stately manor, formally known as Cleveholm Manor, boasts a Tiffany Chandelier, designed by Louis Tiffany of New York just for Osgood. Dark-stained oak and mahogany wood fills the main floor with the marquee great room as the centerpiece. Ornate ceilings with silver leaf inlays, walls covered in Spanish leather and marble fireplaces can be found throughout the residence. 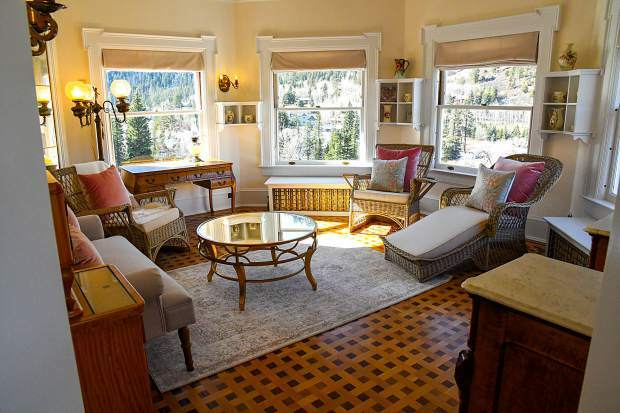 For nine months from the fall of 2017 to the spring of 2018, new owners Steve and April Carver of Glenwood Springs meticulously went through, restoring the floors, walls and ceiling throughout the 23,000-square-foot residence to its original glory. The castle now offers 10 boutique hotel suites in excess of 500 square feet for overnight stays, each with a private bathroom, sitting room and separate bedroom. The Carvers also own the Hotel Denver in Glenwood Springs. It all began for the Carvers with a letter in the mail. “We received a postcard in the mail that (Redstone Castle) was going up for auction again, we had been following it through the years,” April Carver said. 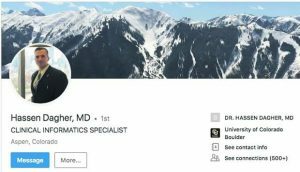 The Carvers, a longtime Colorado business couple, closed on the property Nov. 7, 2016 with a bid of $2.2 million. The Carvers beat out two others bidders to become the 11th owners of the historic Tudor Revival style castle, nestled on the hillside above the eastern banks of the Crystal River. “We are hotel people, and we are historical people, so we were very interested. We thought it could be a hotel and we could make it work,” April Carver said. It was a long process for the Carvers. When the couple purchased the castle, it was zoned as a residence. 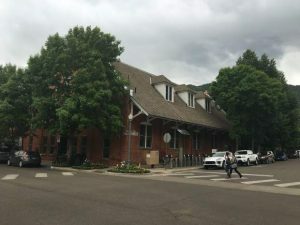 They worked with Pitkin County and county commissioners to rezone the site and gain land-use approval to open a boutique hotel. 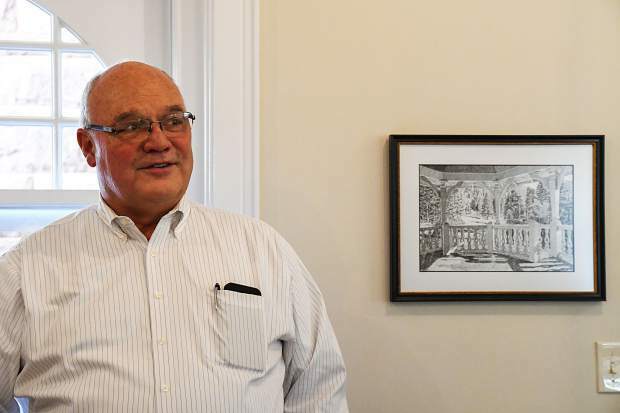 “It took two years and one week to get county approvals,” Steve Carver said. 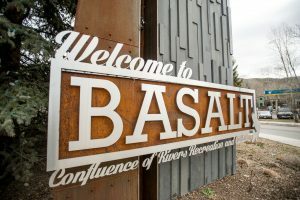 The Carvers had the final walk-through and inspection Wednesday, and were given the approval from Pitkin County. Redstone Castle is now booking reservations for stays. For $395 a night, guests will be able to stay in one of the 10 suites in the main residence. A night stay includes a manager’s reception, castle tour and breakfast. The castle also is offering guided tours to the public six days a week, starting between 10:30 and 11 a.m. The hour-and-a-half long tour is $25 for adults, $20 for seniors and $10 for youth. There is one tour per day on each weekday, except Tuesdays when the castle is closed, and two on Saturday and Sunday. 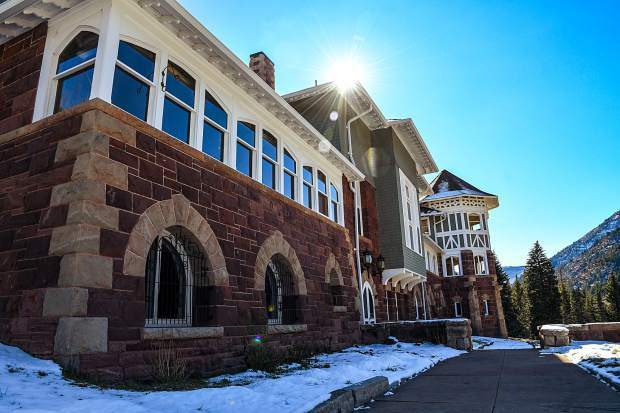 For more information on Redstone Castle tours and reservations, go to http://www.thered stonecastle.com or call 970-963-9656. “I love having people here to show it off. It honestly is a wonderful piece of history that has been brought back to life by the Carvers,” operation manager Jennifer Pazour said.